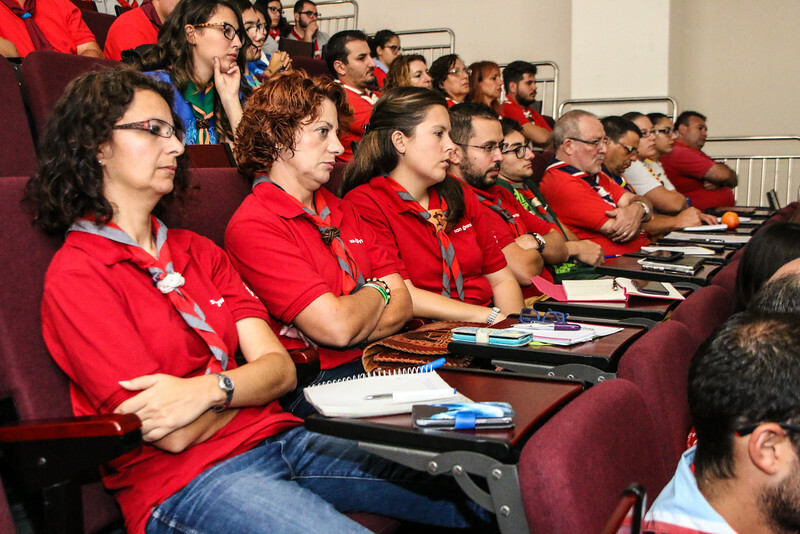 On the 17 and 18 September, the Scout Association of Malta held #LetsTalkScouting – a Forum for all Leaders and Rovers organised by the National Training Commissioner and his Team. The event focused on a number of key topics including the promotion of Youth Involvement and Youth Empowerment, Woodbadge Training up-dates and presentations, and Programme Section Forums. 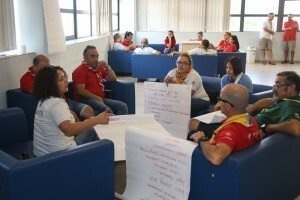 Youth Involvement and Youth Empowerment are two areas about which Scouts in Malta felt they needed more information, ideas, guidance and inspiration as to how best to approach them at a local level. So, following a request from their Association, the European Scout Region arranged for a member of the outgoing Youth Empowerment Strategic Priority Group to go along and provide two talks on these topics during the Forum. The talk ‘21st Century Scouting’ included an introduction to the challenges facing our Scouts today, as identified by the Global Youth Trends Report, before examining ways in which Scouting can adapt to meet these challenges. It then focused on the question of what a modern citizen should look like, and how we can support our young people in becoming active citizens who participate in their communities. The workshop ‘Youth Involvement and Youth Empowerment’ explored these two topics and how they relate to Scouting from a theoretical point of view. It then looked at how simple approaches to both can be integrated into our Scouting, from Beavers at local level right up to Scouts, Ventures and Rovers at National Level. The talks raised some interesting discussion points, including how Scouting is evolving to meet the needs of an ever-changing society, and how we should adapt what we’re doing to better support our young people. Take away points from both sessions were discussed in more depth in the afternoon Programme Section Forums. The outputs from these discussions are going to be used by the Training Team in developing new plans, programme, and resources for the coming scout year. If you are interested to know more about these topics or if you think your National Organisation would also like to go through some reflections on their work and their way of working, don’t hesitate to contact your NSO’s Committee Contact.